Origin / ancestry Master Kush Type: cross of 2 landrace varieties. Master Kush is a production of the famous Amsterdam Dutch White Label Seed Company. It hails from the area of the Hindu Kush. It was first called High Rise for the building in which it was bred. 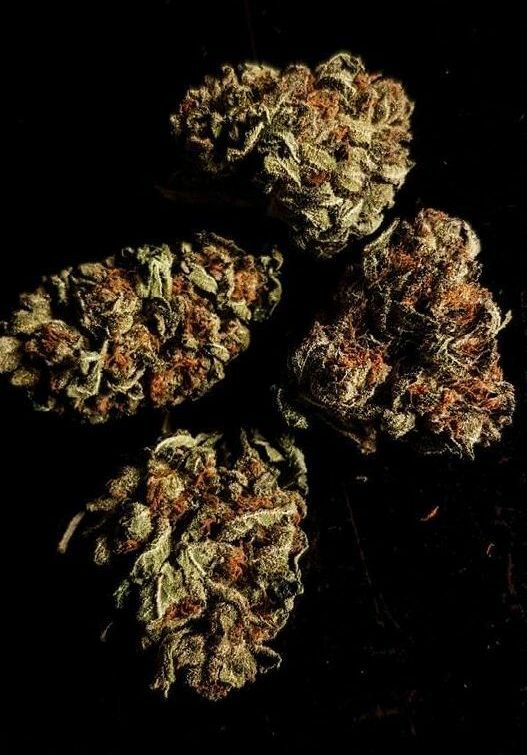 May Relieve Master Kush weed can help with chronic pain of many causes including back pain, sciatica, muscle cramps and soreness, and migraine headaches. Its sedative effects can ease anxiety of many kinds, including Generalized Anxiety Disorder. Harvest Late September is time for harvest, also stretching into early October. Disease resistance Master Kush is built to withstand various diseases. These include insect attacks, fungi, mildew, mold, viruses, and phytobacteria. Plant Height Master Kush is a plant of a short stature. Adverse effects Master Kush has the typical side effect of producing a sense of dry mouth or cotton mouth. It can also make the eyes feel dry and sleepy. 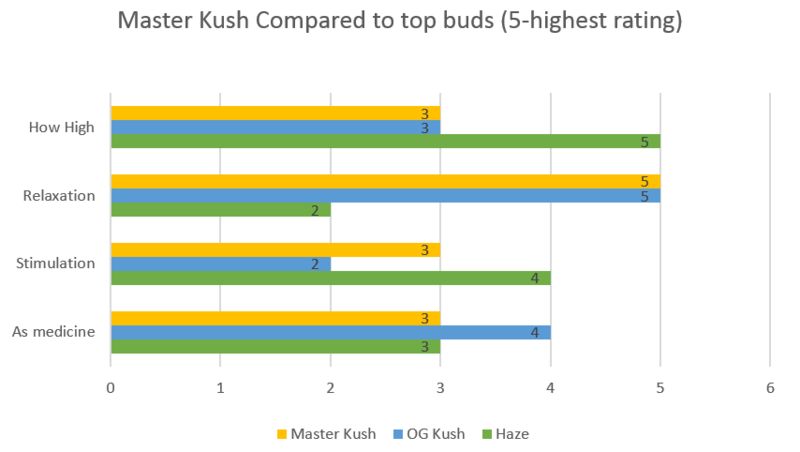 Growing difficulty Master Kush is said to be easy to grow for cultivars. Master Kush is a direct product of the Hindu Kush region. 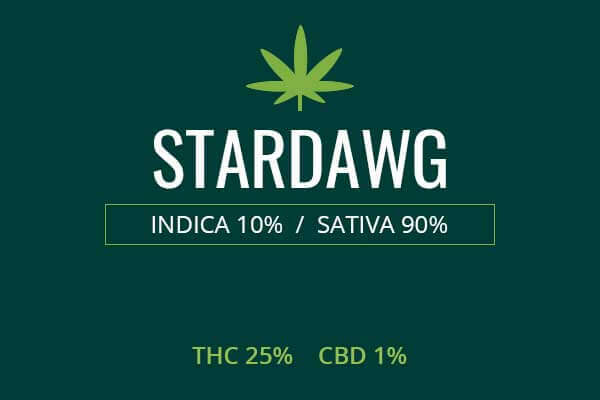 Two landrace varieties were crossed to produce this hybrid which is as much as 95% Indica dominant. Breeding was the work of famous breeders at the Dutch White Label Seed Company. 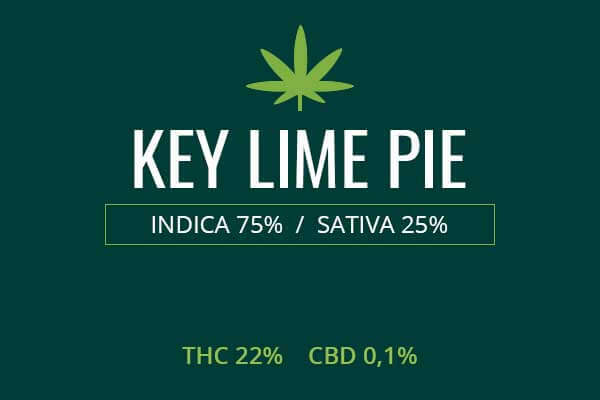 This potent Indica was originally given the name High Rise, for the tall building in which the breed was concocted. Some speculate it is actually a cross between Hindu Kush and Skunk #1, having been bred, tested, and enjoyed for decades in metropolitan Amsterdam. Master Kush is a beautiful plant. It’s healthy leaves of dark green, jut out from a center of flowers, resins, orange pistils, and sticky, white, frosty trichomes. Master Kush packs a pungent fragrance, that has been described as sweet, earthy, citrus, floral, fruity, tropical and intense. Growing weed from Master Kush cannabis seeds or cuttings is said to be of medium difficulty. 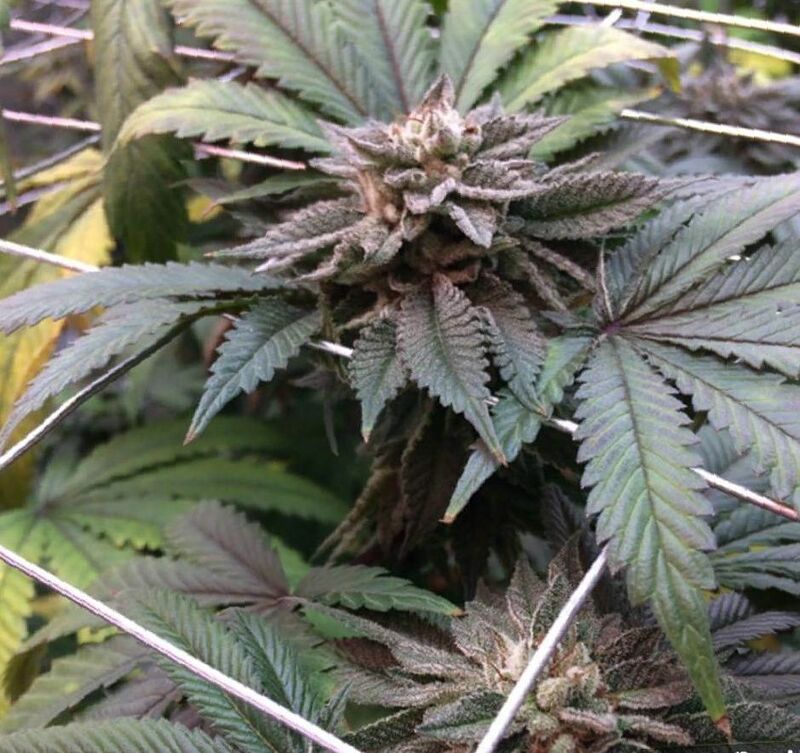 Master Kush has sufficient disease resistance built in. It will grow outdoors where there is a tropical, fairly hot climate. It need to be in the sun for extended periods of time. As usual, you may need a good fertilizer, like Flower Power to maintain the health of your plant. Indoors, Master Kush will be ready for harvest in eight to ten weeks. You can expect a yield of 14 ounces for every meter squared. 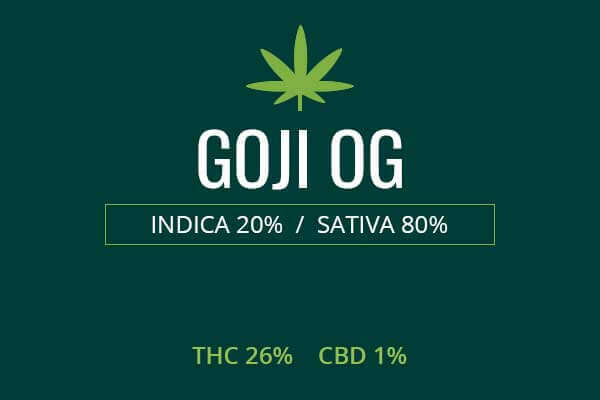 Outdoors, during late September or early October, you can anticipate a yield coming to 18 ounces for each and every plant, healthy and full of powerful cannabinoids in the bountiful sun. Master Kush weed may have THC levels up to 24 percent. 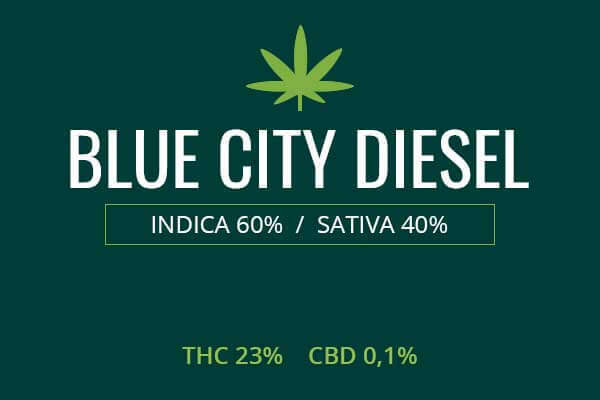 This is a sufficiently high dose for the THC to actively contribute to the medical utility of this plant. However, Master Kush is a full Indica, and those relaxing properties are what is generally sought when using this strain medicinally. Master Kush is a powerful sedative medication due to its Indica genetics, brought down from the Hindu Kush mountains. This effect makes it a powerful weapon against fear and anxiety. When they become a medical problem, it may manifest as Social Anxiety Disorder, Generalized Anxiety Disorder, or even Bipolar type illnesses. Master Kush is abled to sedate the user, make moods more stable, and make it possible to converse and get through the things in life that was stopping him from living up to his full potential. Master Kush is widely used for chronic pain management. Chronic pain is pain that is unrelenting. Rather than fast and hard, chronic pain is slow and unrelenting. It can be like Chinese water torture. 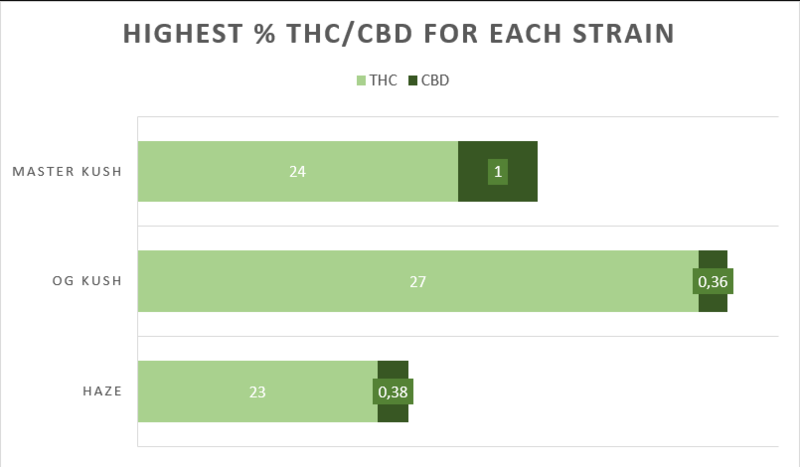 So, there’s no surprise that people have decided to use Master Kush to ease the effects of Chronic Pain. Some of these syndromes include back pain, sciatica, fibromyalgia, polymyositis, dermatomyositis, and Chronic fatigue syndrome. Patients with POTS (Postural Orthostatic Tachycardia Syndrome) also benefit from the effects of Master Kush. Master Kush is especially effective for nausea. It brings you into deep sedation where the user cannot sense the sensation of nausea that had been present for every waking moment. It blocks the overactive nausea signal in the brain. This can be helpful for cancer patients recovering from cancer and radiation, and also for persons with Postural Orthostatic Tachycardia syndrome who may experience cyclic vomiting. Finally, Master Kush is without a doubt a powerful sedative, sleep inducer. Some people are stressed after work and find it difficult to stay awake. Master Kush can put you to sleep under a blanket of no stress or worries and of pain relief. Many people have found Master Kush to be the perfect way to reach a deep and restorative sleep for them. Master Kush is almost a pure Indica, so it is a great strain for just relaxing. After a long day of work, Master Kush will provide a subtle brain, cerebral buzz that will take you out of your worries and allow you to roam in a land of freedom and let go of all those worries. At night, it will lull you to sleep in contentment and love.